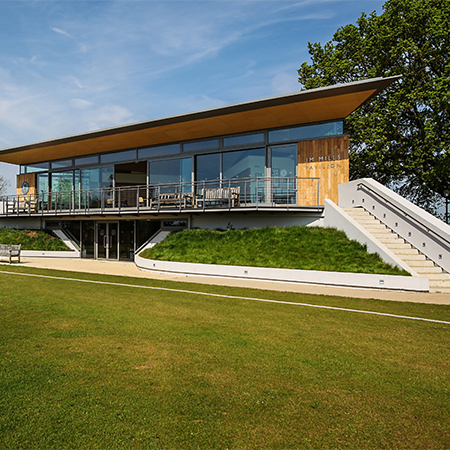 A stunning new cricket pavilion at one of Britain’s top schools features a striking bespoke ceiling from leading architectural products manufacturer Hunter Douglas. 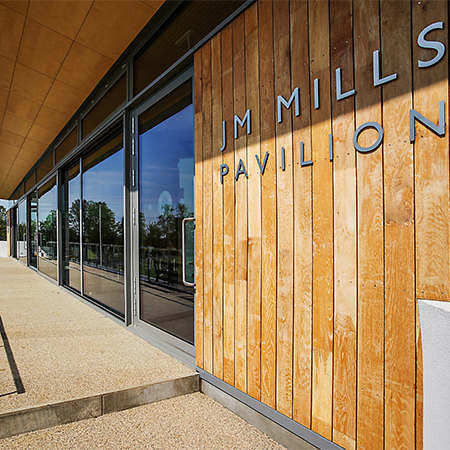 Oundle School’s JM Mills Pavilion, an award-winning two-storey building designed by architects Levitate, features 200m2 (2,152 ft2) of Hunter Douglas suspended ceiling panels, which create a showpiece ceiling in the main area and which extend to the exterior soffits. 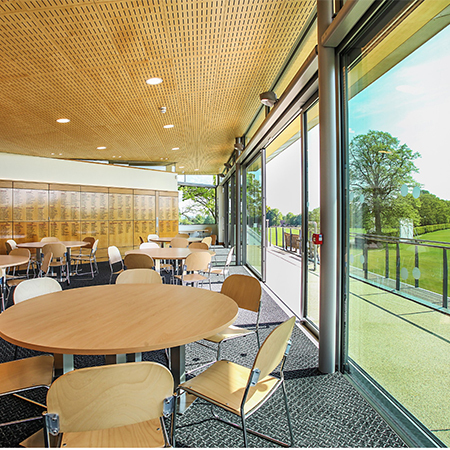 The design used Hunter Douglas Prestige FR MDF 16mm concealed grid panels, finished in birch veneer to complement the modern glass structure of the pavilion, and are decorated with a slot pattern (8mm x 88mm ctc 48mm) that provide superior sound absorption, enhanced by black acoustic tissue on the back of the panels, and also look aesthetically pleasing. 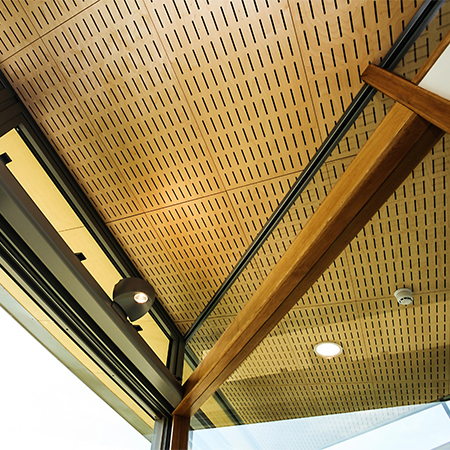 Exceptionally durable silk matt polyacrylic varnish coats the visible faces of the fire-safe panels, ensuring the external panels are watertight and are UV-resistant.